Situated at the head of the Dart Estuary and surrounded by beautiful countryside, renowned for its history, retail, eateries and alternative lifestyle, Totnes has become a destination town, for many reasons, for visitors and locals alike. But, did you know that Totnes is also a Fairtrade Town and has been so since 2011? The town is home to a range of small independent retailers selling ethical products, whole foods and, most importantly, fair trade goods. Totnes even has two award winning shops for fair trade. One for Fairtrade food and one for fair trade gifts and homewares. Each year businesses and organisations are invited to enter the Business Awards by Fairtrade South West. These awards are open to everyone from national chains to sole traders, universities to hotels, food retailers and cafés. More information on this can be found at www.bristolfairtrade.org.uk/south-west-fairtrade-business-award. At this point you may have noticed that the phrases Fair-trade and fair trade have been used. To clarify, Fairtrade is a global movement with a strong and active presence in the UK, represented by the Fairtrade Foundation, and works with producers of foods, tea, coffee and cotton. Fair trade is when craft and artisan producers of gift and homewares in developing countries are paid a fair price for their work by people and businesses in developed countries. These businesses are certificated as a fair trade supplier by the British Association of Fair Trade Suppliers (BAFTS) and/or the World Fair Trade Organisation (WFTO). Key Principles of Fair Trade: • Trading practices are fair and not one-sided. • Prices paid are fair and sufficient for producers and workers to earn more than enough to meet their day-to-day needs. • Payments are often made in advance to ensure the supplier can fulfil orders. • The payment of premiums for producers and workers to use for infrastructure projects. • Producers and workers have a voice, whether organised into groups or involved in workplaces where there is freedom of association. • Safe working conditions, non-discrimination and welfare of children. The start of Totnes’ journey to become a recognised Fairtrade Town began September 2006 when a small steering group was established and they began with asking Totnes Town Council to use Fairtrade tea and coffee and to ascertain which shops sold Fairtrade products. In less than a month it was established that 5 independent businesses and two high street brands in Totnes were selling Fairtrade products. This number was to grow. Currently, there are 32 independent retailers in Totnes selling fair trade foods and homewares. Between 2007 and 2010 the Totnes Fairtrade Group began to investigate how the town was to become a recognised Fairtrade town- and consider how to meet the 5 goals as set by The Fairtrade Foundation:- 1.Local council to pass a resolution supporting Fairtrade and agrees to serve Fairtrade products. 2.A range of Fairtrade products are readily available in the area's retail outlets and served in local cafes, restaurants and pubs. 3.Local workplaces and community organisations support Fairtrade and use Fairtrade products wherever possible. 4.Media coverage and events raise awareness and understanding of Fairtrade across the community. 5.A local Fairtrade steering group is convened to ensure the Fairtrade Town campaign continues to develop and gain new support. By July 2010, following a lot of hard work by the volunteer group, an application was made to the Fairtrade Foundation. And in April 2011 Totnes was granted Fairtrade Status. Every two years since the group have to reapply, showing planned actions, that objectives set 2 years previous had been achieved and then set a programme for the coming 2 years. In February 2007 the Totnes Fairtrade group promoted their first Fairtrade Fortnight, which is organised nationally by the Fairtrade Foundation and locally by volunteer groups. They approached schools, offering to take assemblies and explain what Fairtrade is. The local churches and church groups were approached and asked if they would consider using Fairtrade tea and coffee for their meetings, they were very supportive of the idea and soon all were using Fairtrade teas and coffees for their meetings and social functions. This celebration of Fairtrade runs from the final Monday in February for two weeks; and every year since 2007 the group go out to the schools and the businesses in Totnes, to increase awareness of Fairtrade products, whether that that be food, clothes, homewares or gifts. Over the years a number of growers from developing nations have been invited to Totnes to give talks on how Fairtrade has affected them. These visits are arranged by Devon Fairtrade and each local group. The Totnes Fairtrade group raise funds during the year to contribute to the speakers travel and visa costs (along with other South West Fairtrade Groups who will also hold an event). This year Victor Biwot, Operations Manager from Sereet Tea Corporation in the Nandi Hills, Kenya. He will give a power point presentation to local primary and secondary school pupils at a conference being facilitated by King Edward VI Community College, Totnes, so they can see where he lives, the tea plantation and factory in which he works and how Fairtrade has benefited his life. During this year's Fairtrade Fortnight - 26th February to 11th March 2018 - many food and retail outlets across Totnes will have counter displays and leaflets explaining all about Fairtrade. This year's theme is "Come on in" and meet the farmers and workers who grow our food, whose lives have been improved thanks to Fairtrade. The Totnes Fairtrade Group have used many novel ways to raise the awareness of Fairtrade and to raise funds. From being dressed as bananas for the local carnival to selling fruit smoothies, using Fairtrade fruit donated by local businesses, during a recent market event. This type of fundraising, along with coffee mornings, is now to have signs erected on the approaches to Totnes declaring that Totnes is a Fairtrade Town. Fairtrade changes the way trade works through better prices, decent working conditions and a fairer deal for farmers and workers in developing countries. It's when the price we pay for products gives enough to producers for them to afford life's essentials - like food, education and healthcare. So Totnes is a great place to live, visit, eat and shop. It is an ethical town, it is a Fairtrade Town – and proud of it. 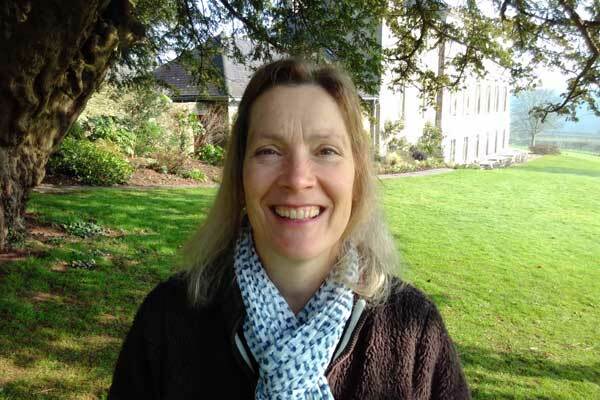 Lisa Carnell will be encouraging Totnes and Torbay primary schools to visit the Estate and learn about its rich wildlife and habitats. And as a biologist, botanist and trained teacher, she'll be sharing her own extensive science and environmental knowledge by leading some of the activities on the visits. Prior to this role, she was Education Ranger at the Torbay Coast and Countryside Trust for 17 years, coordinating schools' visits. "I love plants, wildflowers and trees and I did my degree in biology, so this role is perfect for me to be able to be spreading awareness of the natural world amongst young people," said Lisa. "I really like birds as well so it's great to be able to pass on some of my love of the local wildlife." Her post has been funded for a year by the Ernest Cook Trust, a charity promoting learning from the land. In that year, Lisa will be putting on 10 nature days for local schools.